Halle Berry has a psychologist to help her deal with the stresses of work. 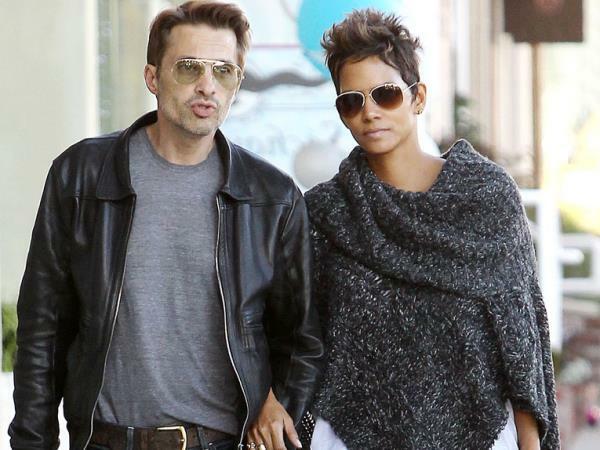 Halle Berry has a psychologist to help her deal with stress. The 46-year-old actress ? who has five-year-old daughter Nahla from her relationship with model Gabriel Aubry and is expecting her first child with husband Olivier Martinez ? admits the pressures from the film industry can sometimes take their toll on her so she opts for counselling to help her get back on track. Speaking to Total Film magazine, she said, "My father was an alcoholic, and a very abusive one, and my mother knew the value of providing me an outlet of an unbiased person to talk to ? to help me manage my feelings and my emotions. "When I'm in a stressful place I will call up a psychologist and go in and have a couple of sessions and work through whatever I'm feeling. "I also do a lot of meditation. Our mind is really powerful and what we think can really control our reality and how we look at things." However, the brunette beauty ? who’s vowed to return to work as soon as possible after giving birth to her tot ? insists she's learnt the importance of separating her career from her personal life. She explained, "As I've grown older I've really learned, out of necessity, the importance of leaving work at work. Bringing home half of the things that I get asked to do in the film world is really detrimental to my private life ? especially now I have children. "I have to come home and I have to be a mom, and I have to be the same person I was when I left."